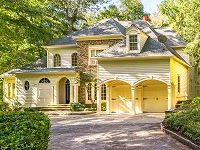 Come See Rock’s $1.5 Million Dollar AirBnb in Buckhead! PLEASE NOTE: Parking is Extremely Limited! Come Early & Find a Place to Park! 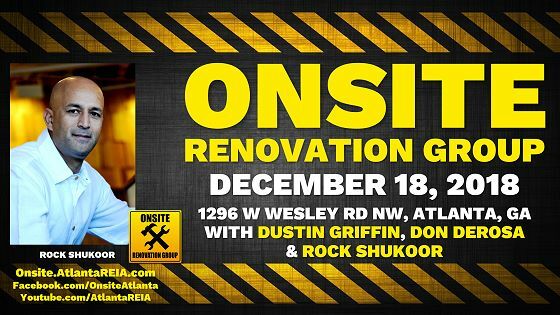 Please join us on Tuesday, December 18th at NOON for the Atlanta REIA Onsite Renovation Group (ORG) to learn all about finding, funding, fixing and flipping houses for big profits right here in the metro Atlanta area. This month’s meeting will be held at Rock Shukoor’s $1.5 Million Dollar AirBnB project located at 1296 W Wesley Rd NW, Atlanta, GA. Come find out how Rock put this deal together and the killer cash flow he’s getting each month. PLEASE NOTE: Parking is extremely limited in this neighborhood. I’ve been told there is no on street parking. You will have to carpool or arrive early and do your best to find parking somewhere nearby. Use the this Google Map to find nearby parking. PLEASE DO NOT park in the driveway of the property.